The Rayat Shikshan Sanstha, Satara, is pioneer in the field of rural development through education. Today it occupies a prominent place on the educational map of Maharashtra and India. We are fortunate enough to have a rich heritage of Rayat Shikshan Sanstha, the institution of very high repute, committed to social justice and national integration. 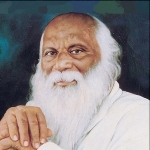 The Sanstha is founded by late Padmabhushan Dr. Karmaveer Bhaurao Patil, popularly known as 'Karmaveer Anna'. Dr. Karmaveer Bhaurao Patil followed the footsteps of Mahatma Jyotiba Phule and Rajarshi Chhatrapati Shahu Maharaja, and firmly believed that education is the panacea for the social and economical problems of the society. The foundation of the Sanstha was led by opening boarding for students of all religions, castes and creed at village "Kale" in Karad block of Satara district on 4th Oct., 1919. In 1924 headquarter of the Sanstha was shifted to Satara. 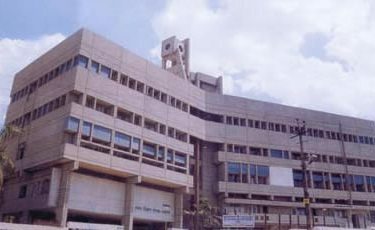 Presently the Sanstha runs 42 Colleges, 438 Secondary Schools, 7 B. Ed. Colleges, 51 Primary Schools, 33 Pre-Primary Schools, 91 Hostels, 8 Ashramshala's and 2 I.T.I. These institutions are wide spread in 15 district of Maharashtra and 1 District of Karnataka. Over 4,58,044 students pursue their education in Sanstha. It has a plethora of about 13,553 dedicated employees.